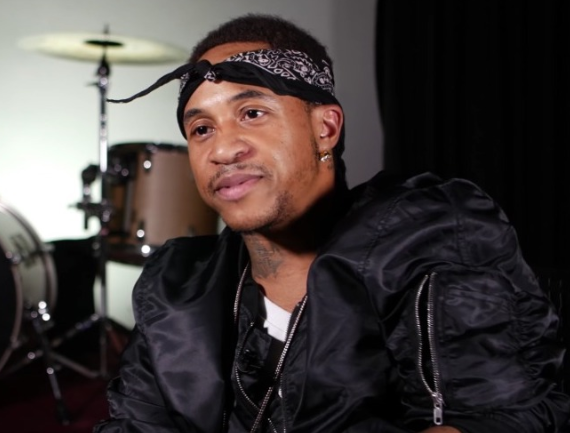 INSANE VIDEO: 'That's So Raven' Star Orlando Brown Arrested In His Underwear By Some Crazy Bounty Hunters...MUST WATCH! - T.V.S.T. INSANE VIDEO: ‘That’s So Raven’ Star Orlando Brown Arrested In His Underwear By Some Crazy Bounty Hunters…MUST WATCH! We thought the craziest video featuring ‘That’s So Raven‘ star Orlando Brown had already been released. You may remember seeing the video of him incredibly high and talking about Raven-Symoné’s breasts back in 2016. If you missed the strange/hilarious video, you can click on this link to view it. After you finish with that video, come back and watch the video you see below, ’cause the sh*t is insane. Brown was arrested for an outstanding warrant early Friday morning in Las Vegas. The raid was captured on video by Lucky the Bounty Hunter, and it’s actually pretty terrifying. Brown was staying at some dude’s house in Vegas, and when the bounty hunters showed up at this guy’s door, he was understandably upset. He yelled at them to get out of his house and claimed what they were doing was illegal, but they had paperwork and warrants, so technically everything they did was legal. As they searched the entire house for Brown, the homeowner screamed at them, “I HAVE RIGHT TO PROTECT MY HOME AND FAMILY,” and it was at that point I started to wonder if someone was about to get shot. Thankfully, it didn’t come to that. They eventually found Brown hiding inside a closet with just a t-shirt and boxers on. He asked them if he could at least put on some pants, but they didn’t let him. Apparently, a judge issued a warrant for Brown’s arrest when he failed to appear in court last month for another case.